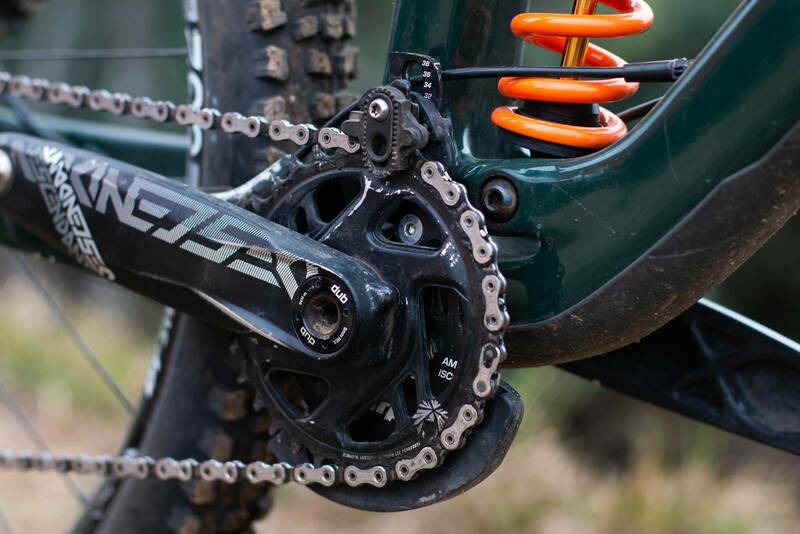 Forbes runs SRAM 11-speed - he says it doesn't really wear out and he has good ground clearance. 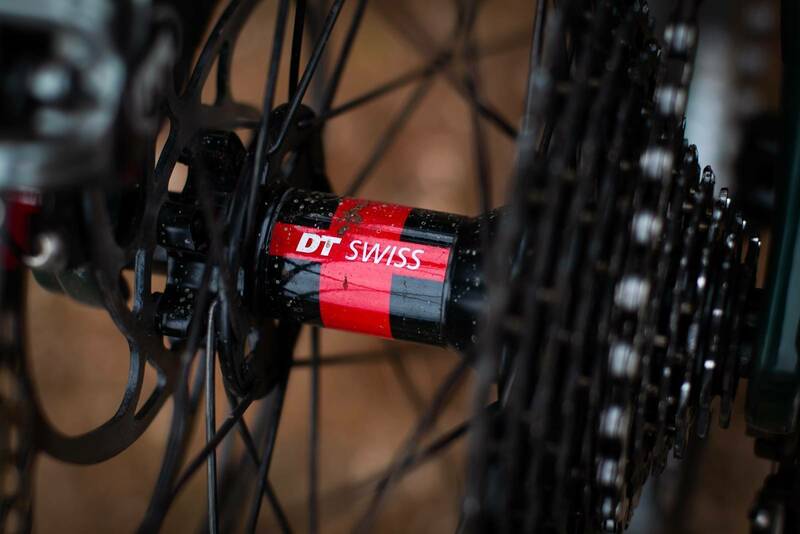 DT Swiss are a new sponsor for Forbes - and he built his latest wheels on DT Swiss 240 hubs. 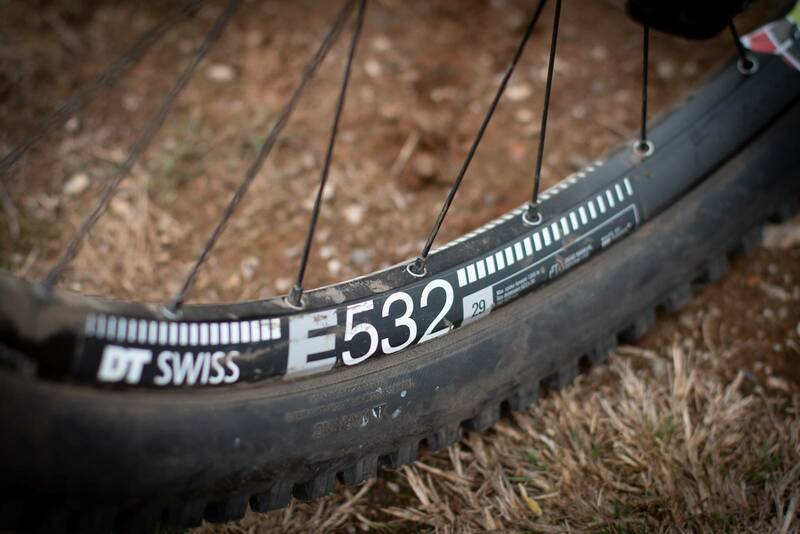 The E532 rims give Ben the width and strength he needs. 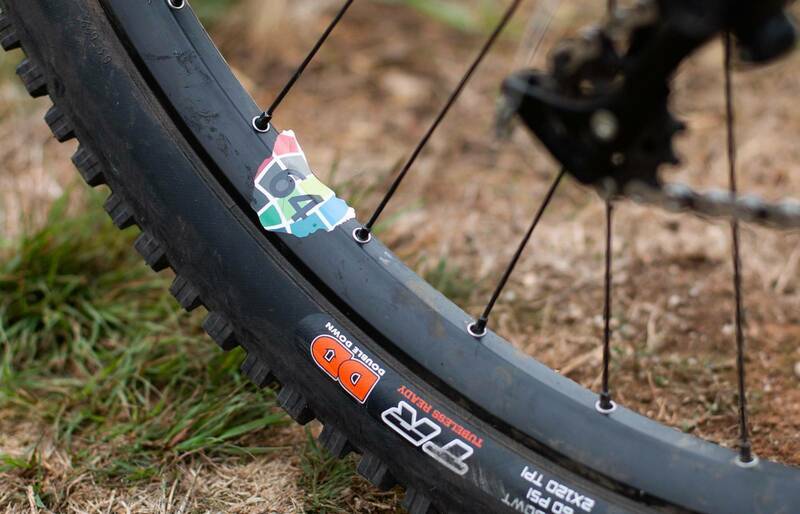 He's not so sure about carbon rims for enduro anymore. This custom chain guide has been working since November. 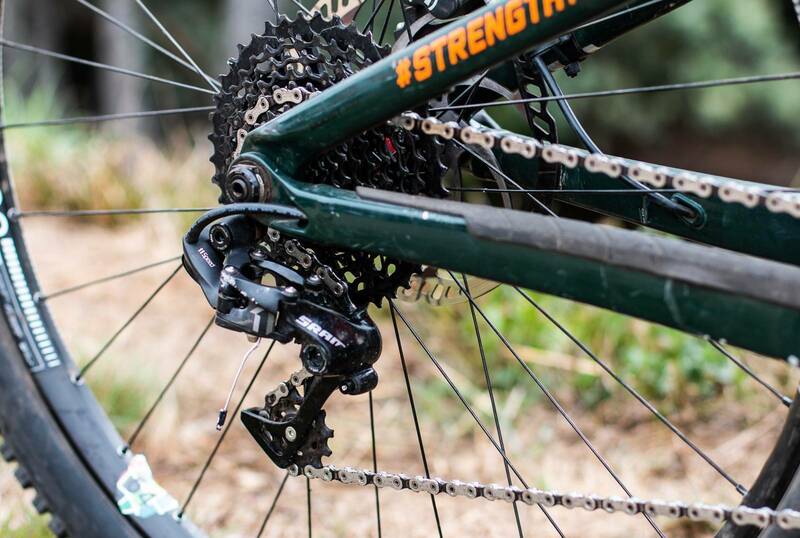 Cranks are 170mm. 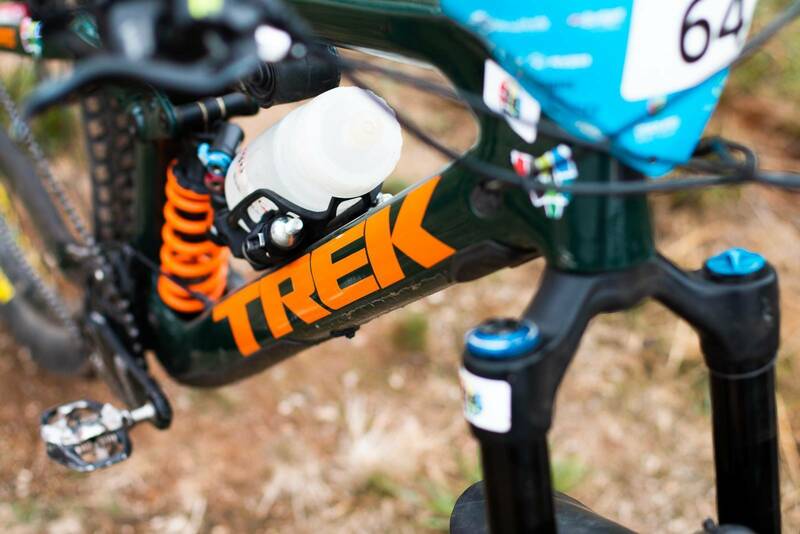 The Trek Slash is designed around an air shock. So Forbes has to run a 600lb spring to get the coil performance he wants. There would be a multi-tool in here, but the cap drops off a bit too much. 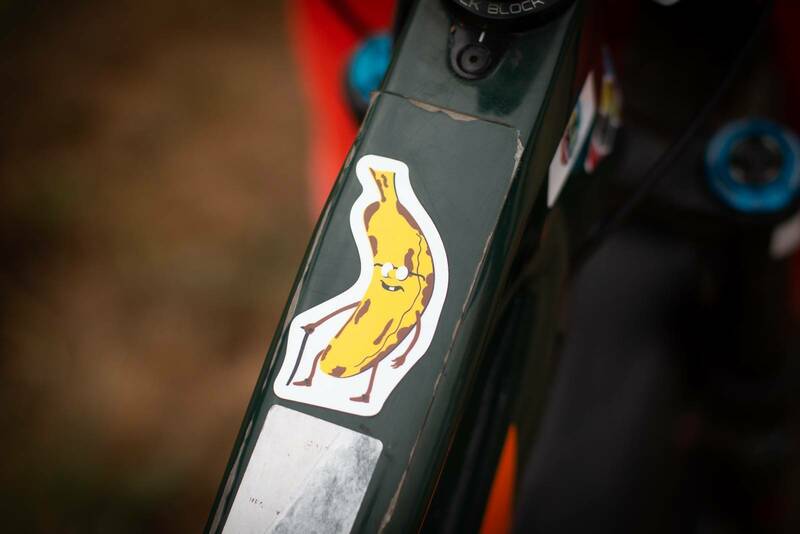 "Paul van der Ploeg stuck this banana on there so I left it," said Forbes. QLD pride? 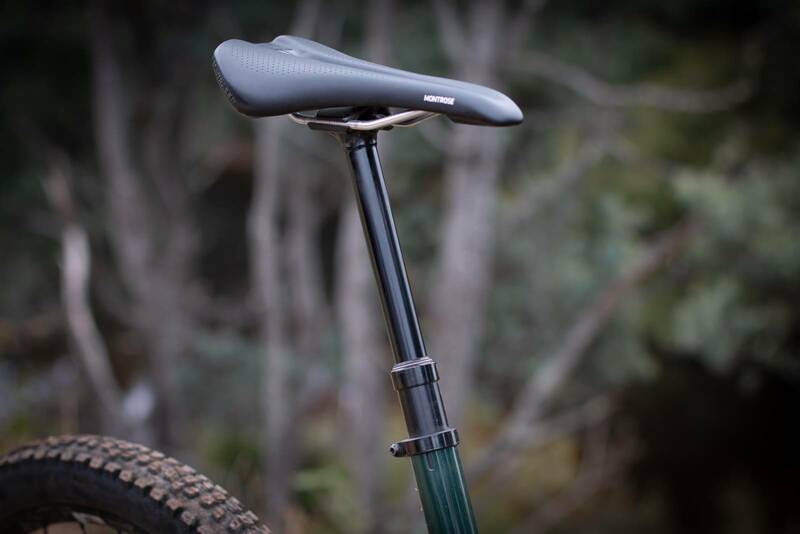 At the time, this was the longest dropper post with the shortest insertion that Ben could find. 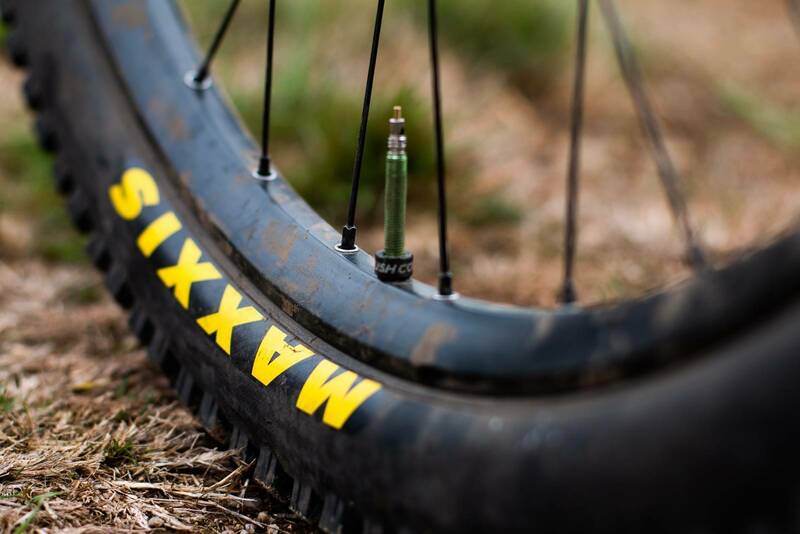 Forbes is supported by Maxxis and KWT Imports. He's swapped out to an Aggressor on the back for Derby, with a DoubleDown casing. 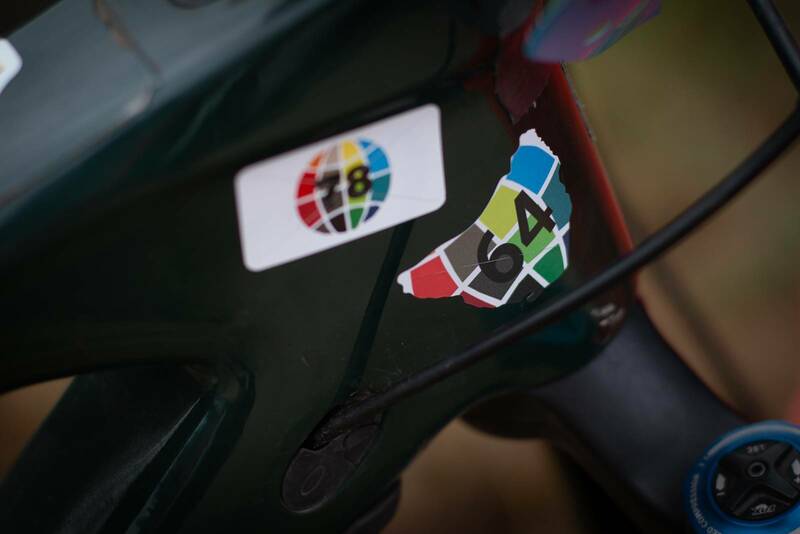 This bike will get a few more stickers. 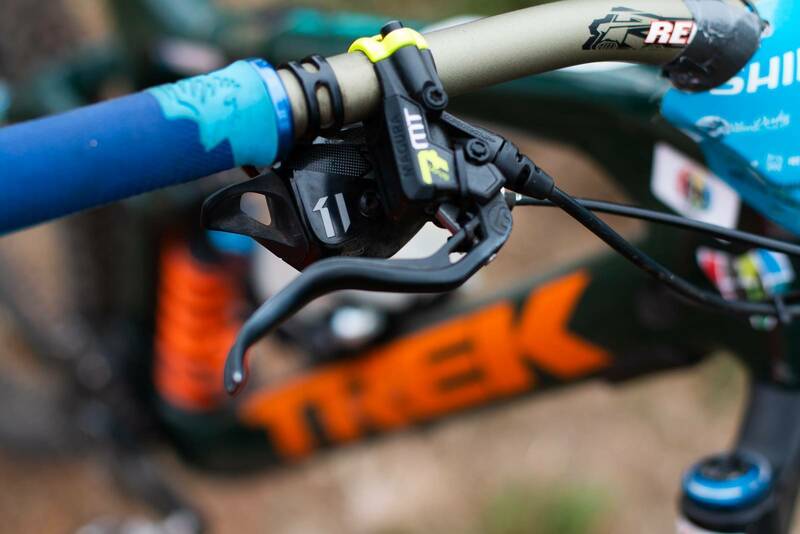 Ben runs the 4-pot Magura MT-7 brakes. 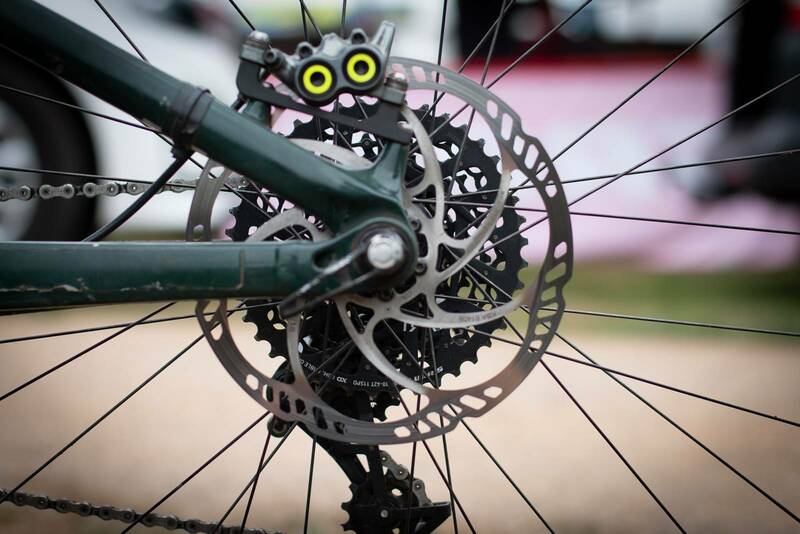 And curiously, he still runs a 200mm on the back and 180mm on the front. 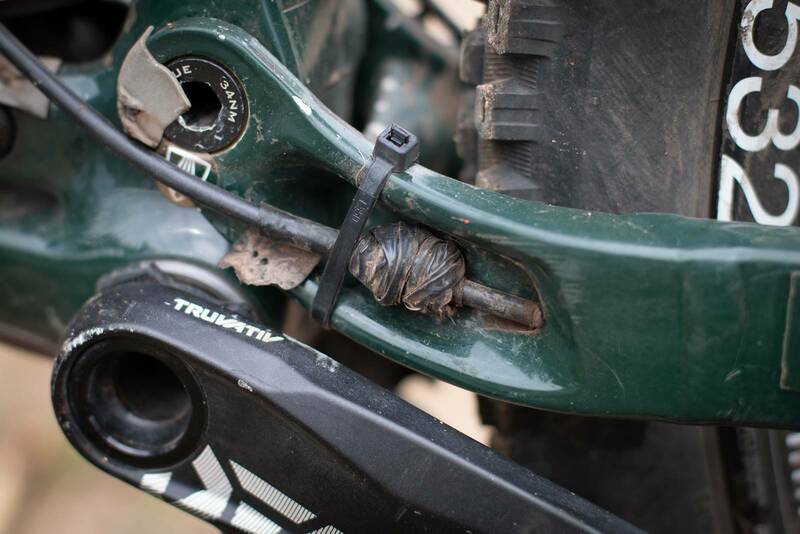 Custom doesn't have to be neat - but this stops the internally routed brake hose from pulling into the wrong place. 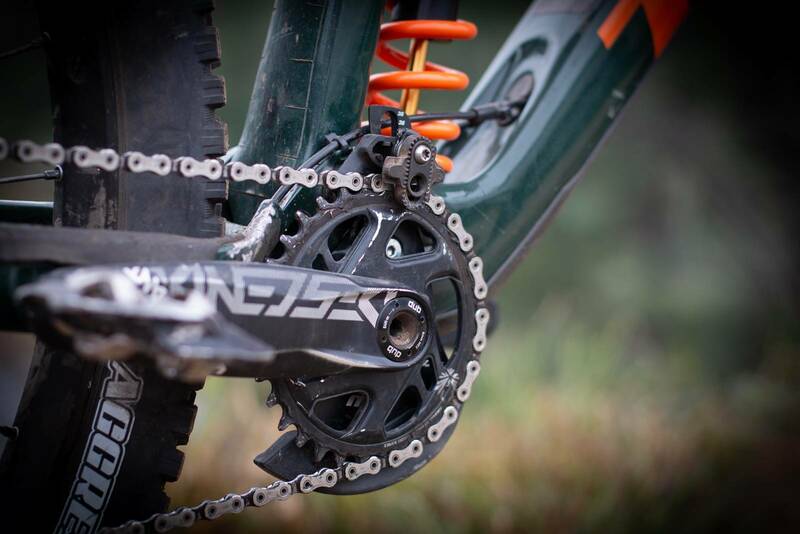 Ben uses the Bontrager dropper lever and runs his brakes a long way in board. 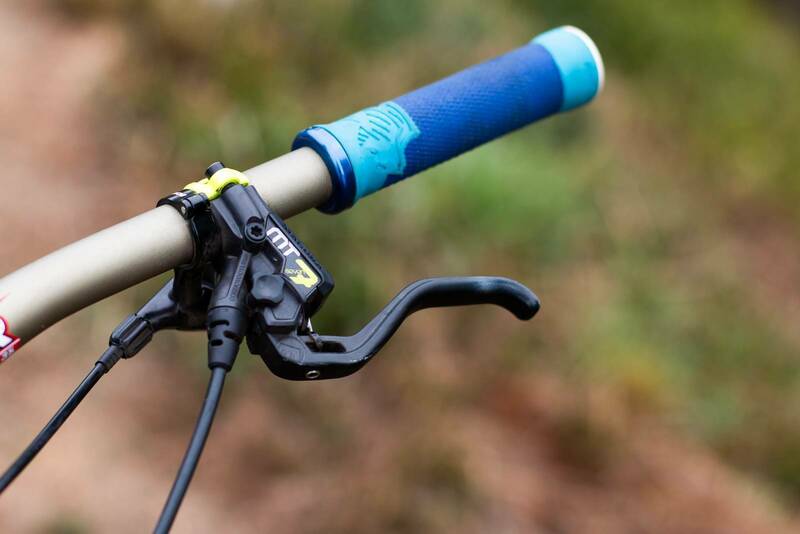 Lock on grips because - why wouldn't you? 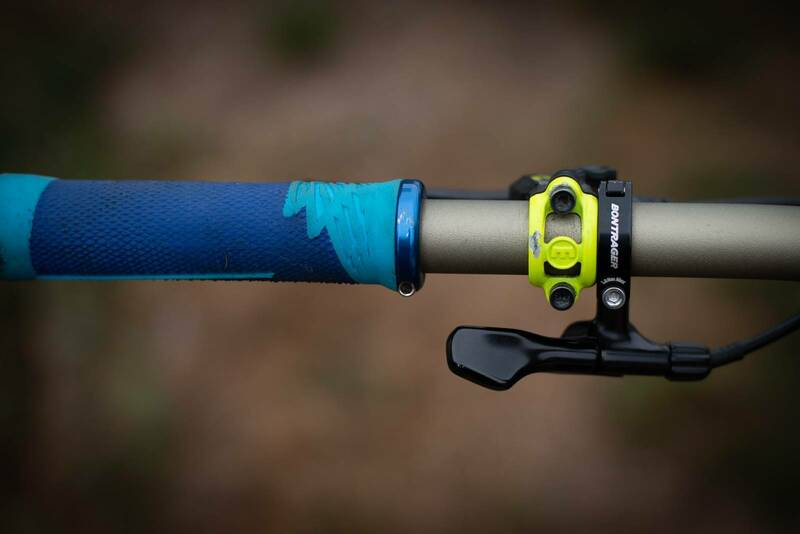 The bars are Renthal. That's a Fox 36 Performance with some Factory internals and stickers. 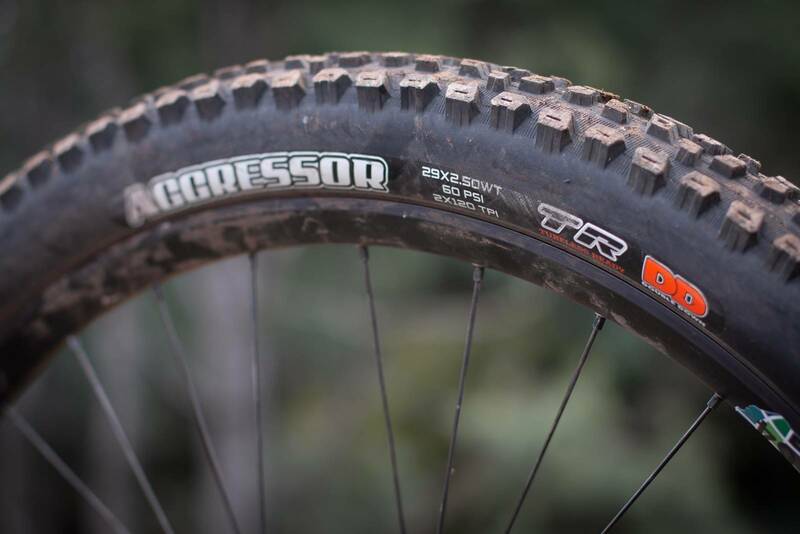 Forbes runs CushCore for extra flat and rim protection. 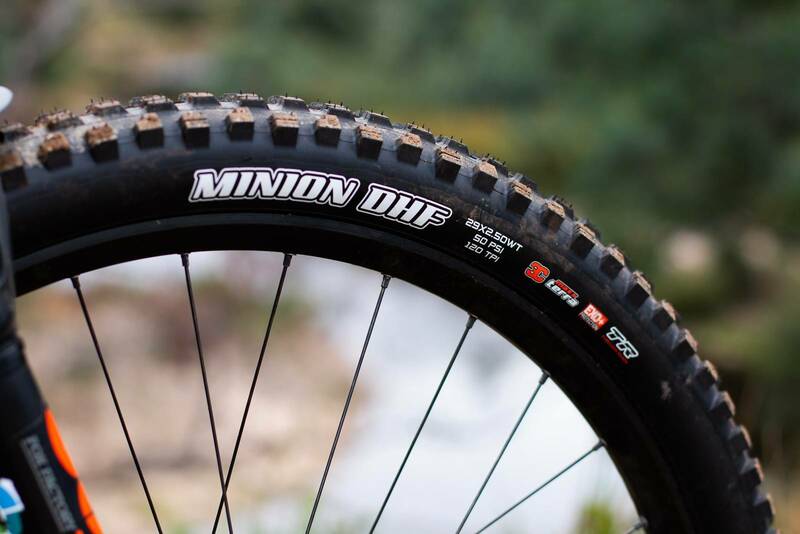 The Minion DHF in Exo+ does front tyre duty. 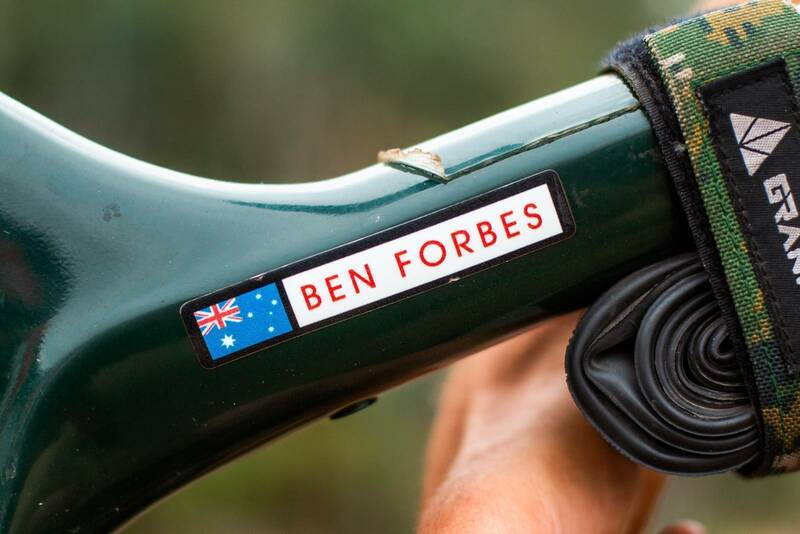 Ben Forbes is an Australian privateer who is no stranger to the EWS. 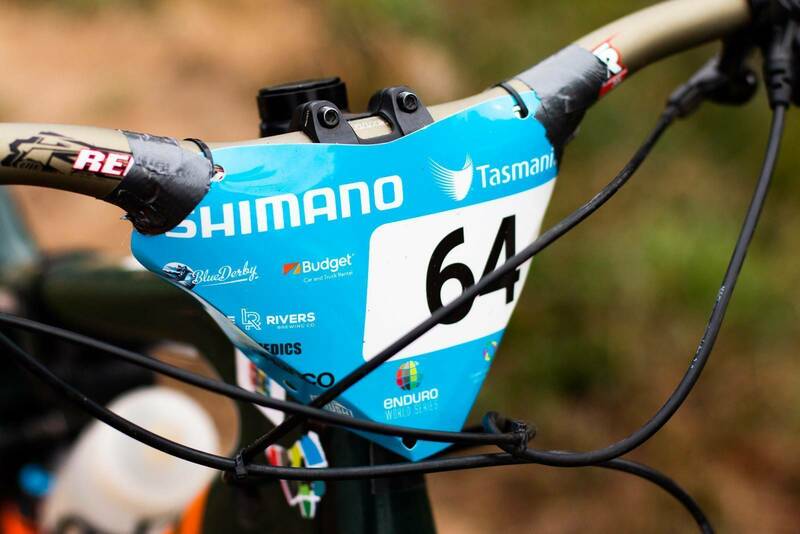 Ben Forbes is no stranger to racing the Enduro World Series, and his bike is no stranger to the pages of AMB, be they print or digital. 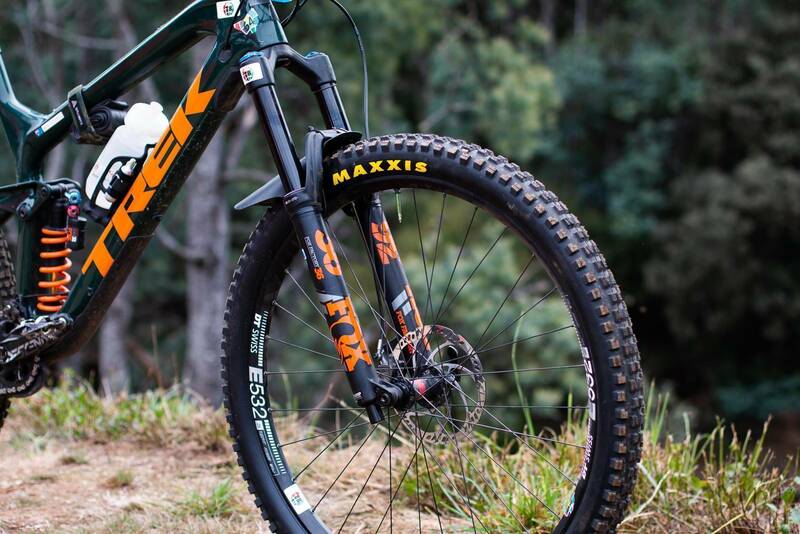 Ben's last Trek Slash featured on the cover of an issue, and we took at look at the bike back in early 2017. 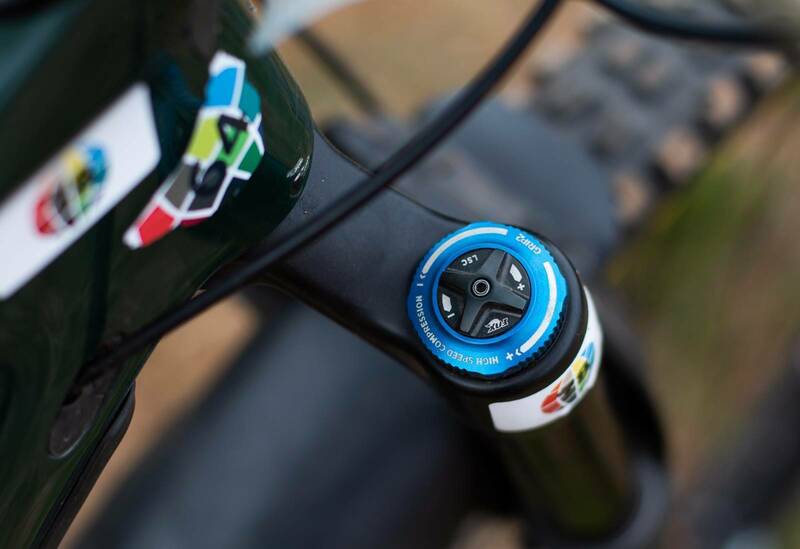 Time marches on, and Ben had that bike stolen while racing in Europe in 2018, and he's also raced to an EWS stage win at Derby in 2017 since then. 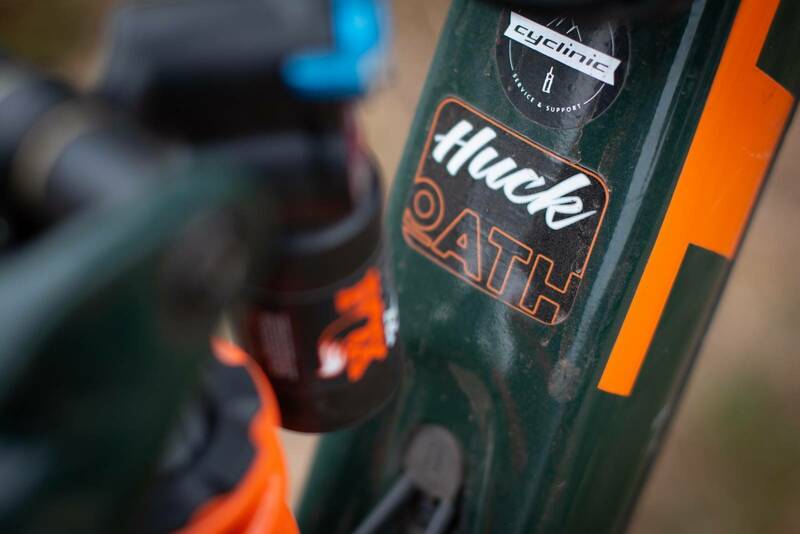 As a privateer, Ben's bike ends up being super interesting, as he doesn't really have many restrictions on what he can run, beyond some specific equipment sponsorship which has typically come about as it's parts he loves to ride and race. 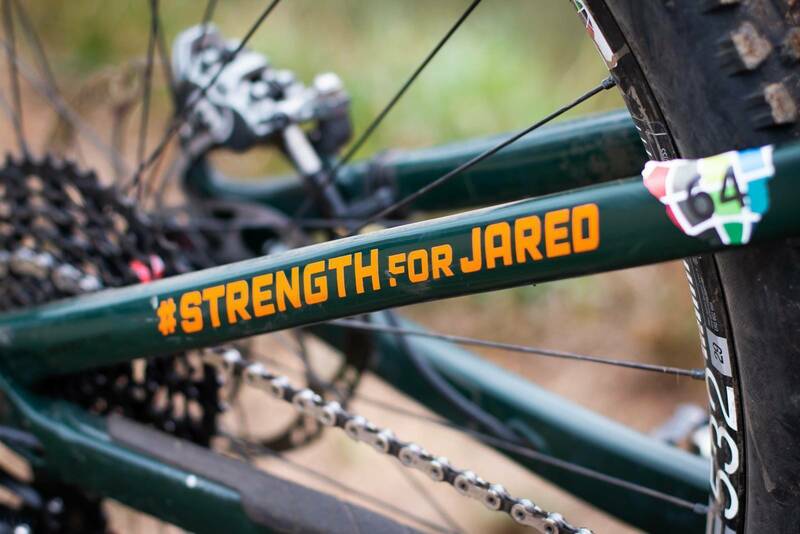 Ben is on a Trek Slash frame, and he's moved up a frame size to an XL. 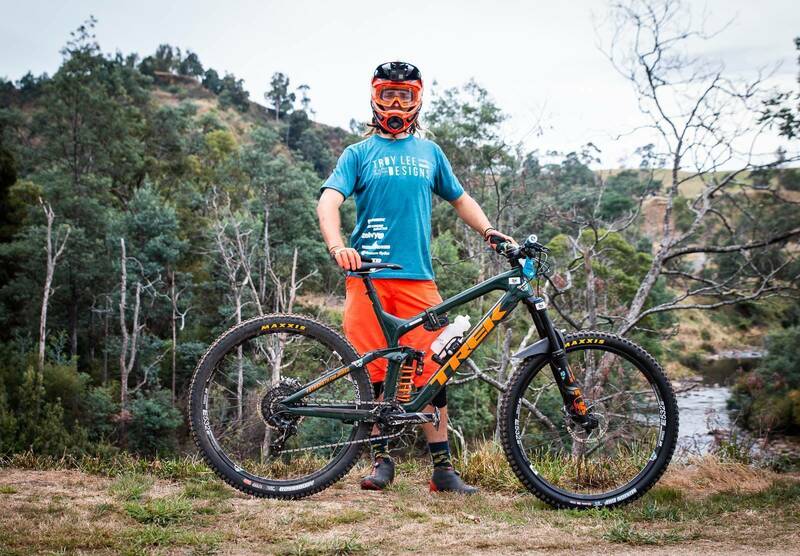 Based in South East Queensland, Ben races downhill and enduro on this bike, and pulls out his hardtail for training and XCO races. 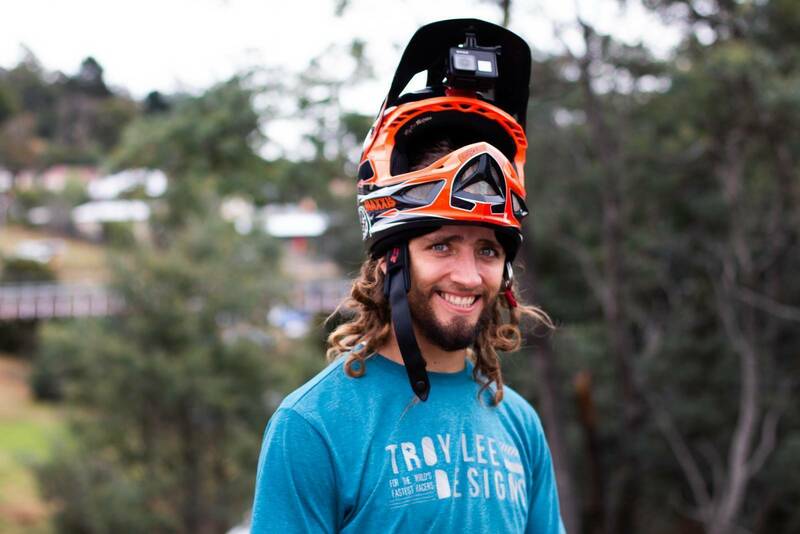 He does a whole lot of coaching as well for riders looking to improve their skills. The spec is quirky, but is based on what Ben has found works. 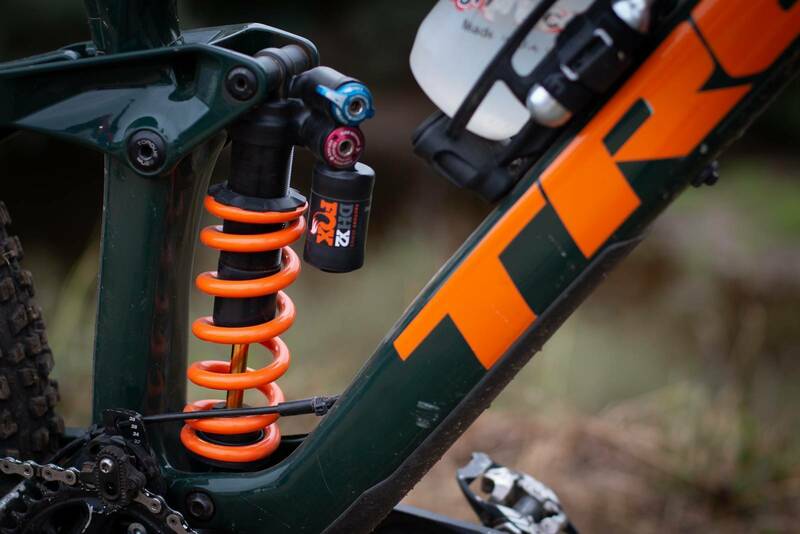 Over summer he has tuned his bike to find what works, which included spending time getting a coil spring to suit the Slash, thanks to help from Fox Australia and Cyclinic. 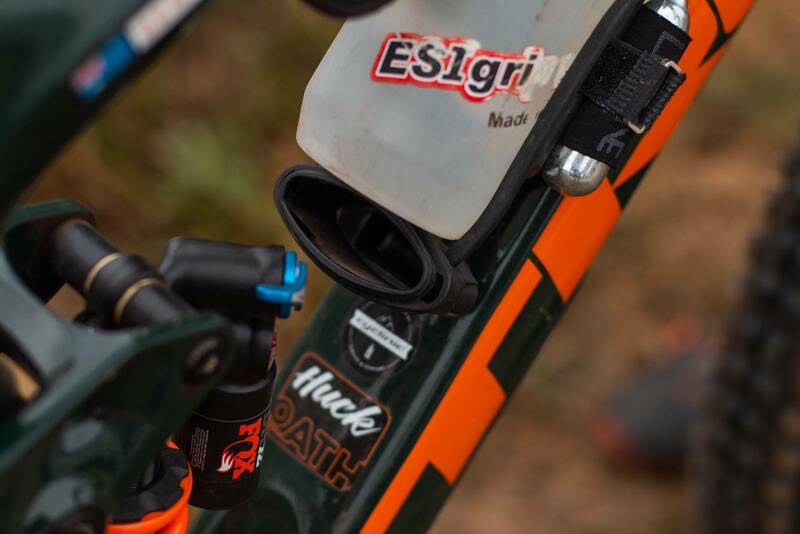 Ben has swapped out the Minion DHR off the back to the Aggressor for this race, and said that with a little moisture overnight the Aggressor is exactly what he wants out the back.